Hi, This is a guide to unlock bootloader Huawei P9 Plus. It is an easy and safe guide to unlock bootloader Huawei P9 Plus. If you want to root your phone or use custom recovery like CWM and TWRP recovery on your Huawei P9 Plus, then you must be unlock your Huawei P9 Plus bootloader. 1. In this process may be wipe your data, so take a backup of your phone. Step 1: Download and install Huawei P9 Plus USB driver on your PC and enable USB debugging mode on your Huawei P9 Plus Smartphone by this guide . Then go to Huawei official site and accept “Unlocking Agreement” and click on next button. Here you will make Huawei login ID then will get a form, fill this form and get unlocking code in few second. Save this unlocking code here you want to save. Step 2: Now connect your Huawei P9 Plus Smartphone with PC via USB cable and download and extract unlocking tool then click on MAF32.exe. You will get a command here you type fastboot devices in the command window then press enter key. It will be ask for permissions on your device, then Grant them and check always allow from this PC option. Step 3: Now type adb reboot bootloader to boot your phone in the bootloader or fastboot mode. Then your phone boot in the bootloader or fastboot mode. 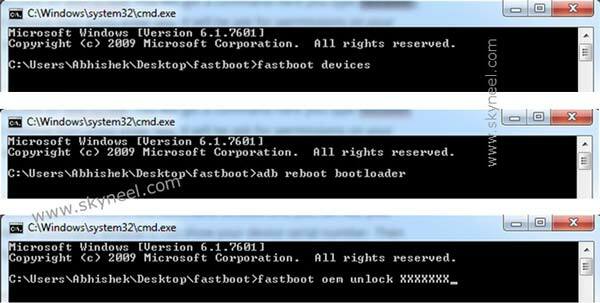 After fastboot mode type fastboot oem unlock XXXXXXX (replace XXXXXXX with your unlocking code) command in the command window and press enter key to unlocked your bootloader. Now you will see a popup message in the your Huawei P9 Plus screen and select Yes by Volume button then press power button to enter. Now you phone bootloader is unlock. I hope you like this unlock bootloader Huawei P9 Plus guide from which you will be able to easily unlock bootloader Huawei P9 Plus without any extra efforts. If feel any problem in this guide then please use comment box. Thanks to all. i can`t register on huawei link “Your Huawei ID is registered on the other site, and can’t log in. Please register a new Huawei ID on the current site” this is the message that show me. and when i go to register new log in they said i have already register my e-mai.